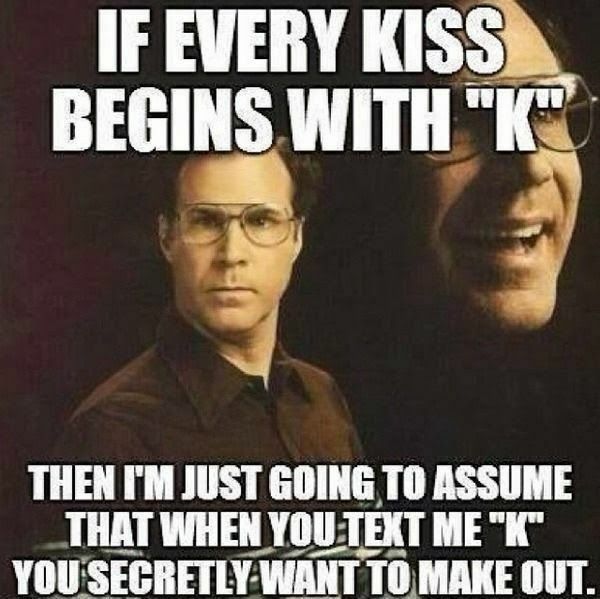 I've never seen a "K" I trust. 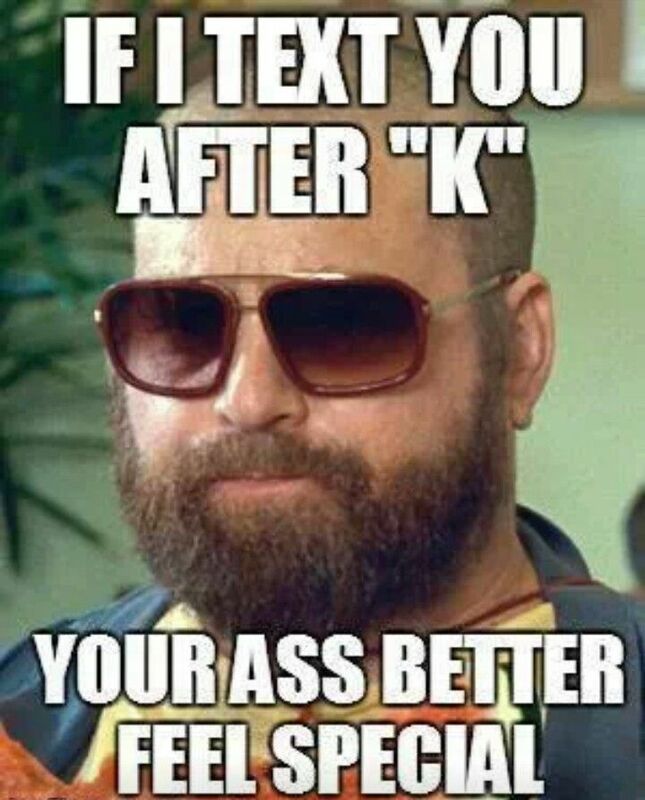 The worst part about getting a text with just “K”, is that you don’t know whether or not the sender is passive aggressive or they just appreciate brevity. But who am I to a make a universal assumption about the usage of a letter? But what do they know, right? Meme cultural knows best. 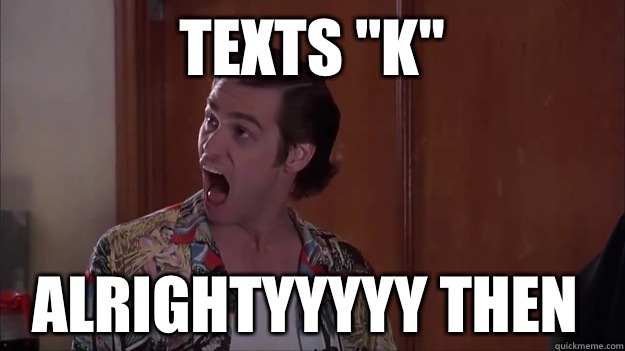 ~suprise~ meme cultural hates "K" too.